Easter Island monument mystery solved? Image via our friend Yuri Beletsky Nightscapes. Visit EarthSky Community Photos. New research suggests that the ancient people of Rapa Nui in eastern Polynesia – better known as Easter Island – built their famous ahu (shrine) monuments near coastal freshwater sources. 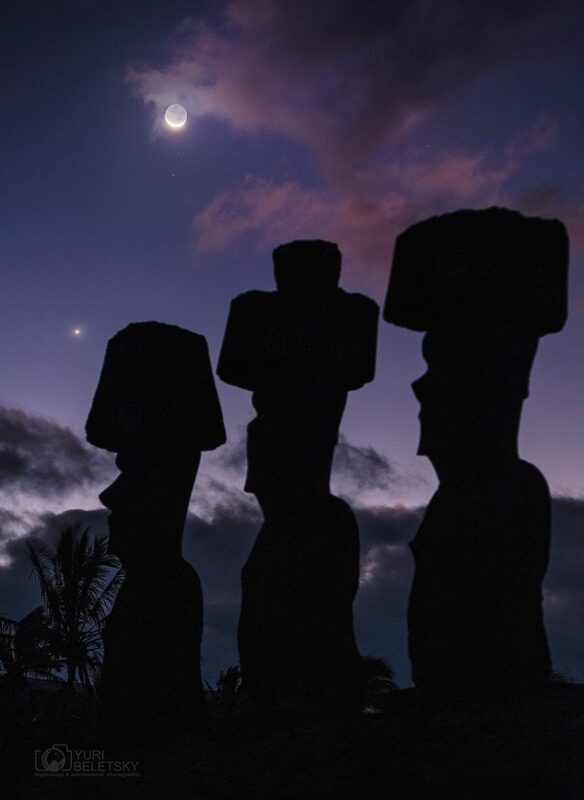 The island of Rapa Nui is well-known for its elaborate ritual architecture, particularly its numerous moai – monolithic human figures – and ahu, the monumental platforms that supported them. Researchers have long wondered why ancient people built these monuments in their respective locations around the island, considering how much time and energy was required to construct them. 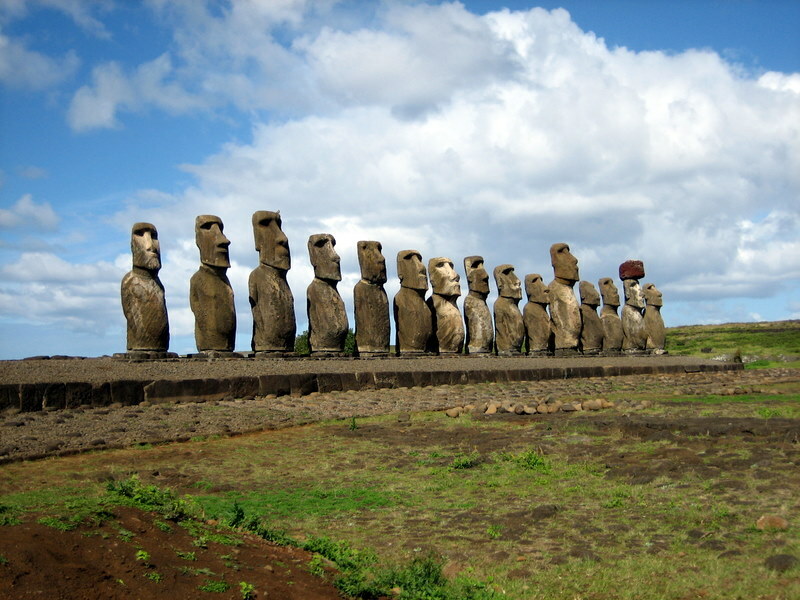 Locations of ahu with statues on Rapa Nui. Image via PLoS One. 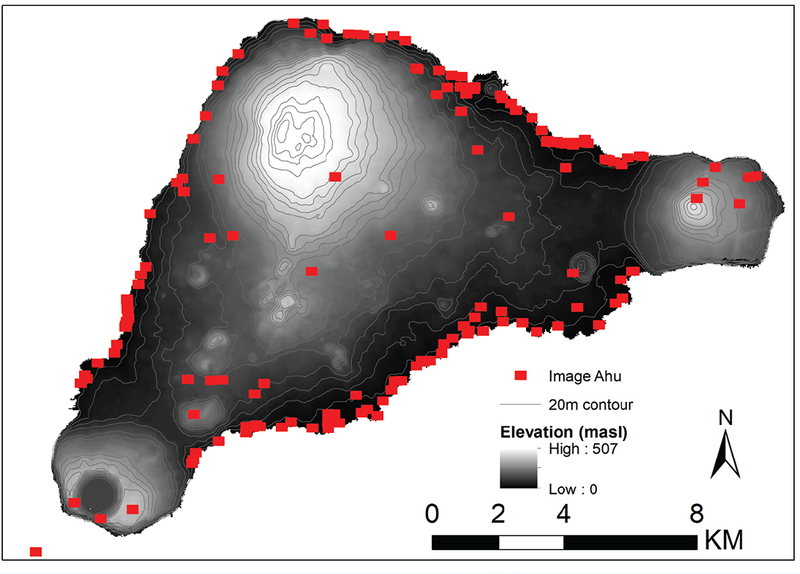 For the new study, published January 10, 2019, in the peer-reviewed journal PLoS One, the researchers used spatial modeling to explore the potential relations between ahu construction locations and the islanders’ three most critical resources – rock mulch agricultural gardens, marine resources and freshwater sources. Their results suggest that ahu locations are explained by their proximity to the island’s limited freshwater sources. Many researchers, ourselves included, have long speculated associations between ahu, moai and different kinds of resources – water, agricultural land, areas with good marine resources, etc. However, these associations had never been quantitatively tested or shown to be statistically significant. Our study presents quantitative spatial modeling clearly showing that ahu are associated with freshwater sources in a way that they aren’t associated with other resources. Easter Island moai facing inland. Image via Ian Sewell/Wikipedia. The issue of water availability, or the lack of it, has often been mentioned by researchers who work on Rapa Nui. When we started to examine the details of the hydrology, we began to notice that freshwater access and statue location were tightly linked together. It wasn’t obvious when walking around – with the water emerging at the coast during low tide, one doesn’t necessarily see obvious indications of water – but as we started to look at areas around ahu, we found that those locations were exactly tied to spots where the fresh groundwater emerges, largely as a diffuse layer that flows out at the water’s edge. The more we looked, the more consistently we saw this pattern. This paper reflects our work to demonstrate that this pattern is statistically sound and not just our perception. Bottom line: A new study suggests that the ancient people of Easter Island built their huge stone monuments near freshwater sources.